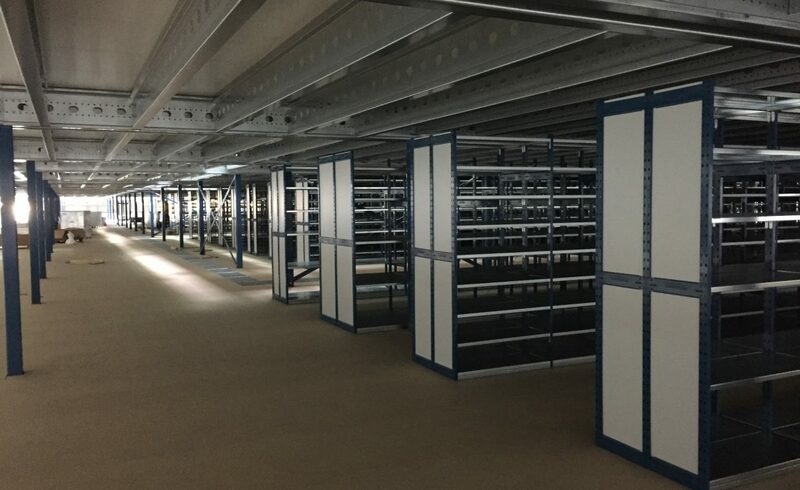 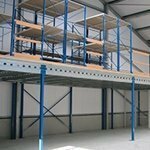 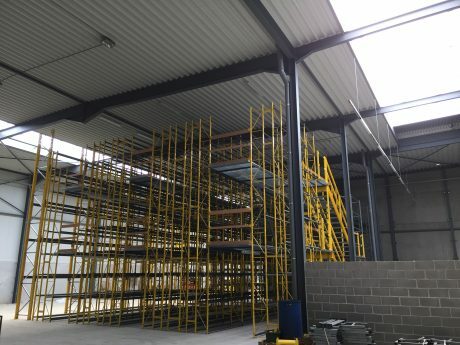 In order to meet our customer’s storage needs, the chosen lay out contained a Mezzanine system floor. 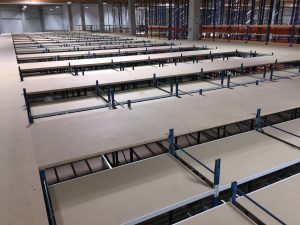 These system floors can be quickly assembled and disassembled, allowing our system floors to be recycled in other establishments or other locations. 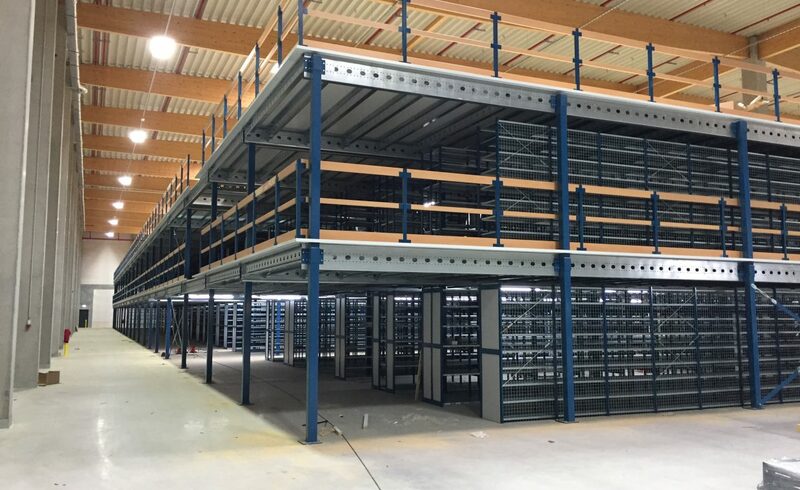 With the installation of a system floor, extra storage space can be created so that moving to a new building or expensive construction work is not always needed. 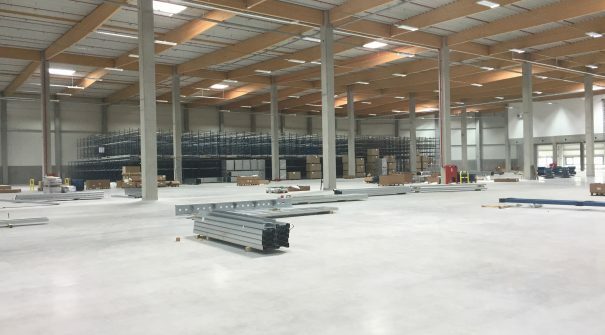 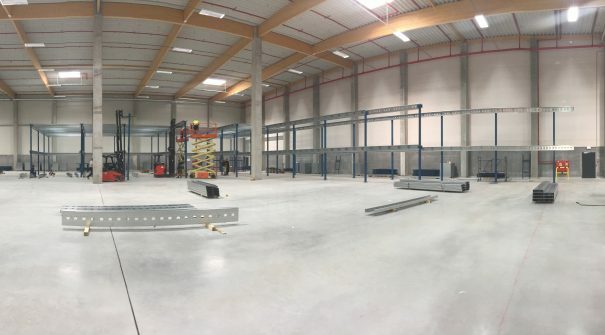 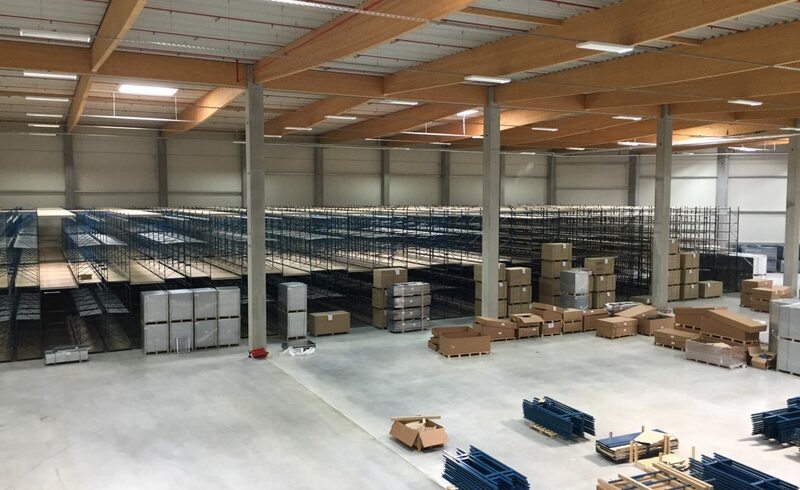 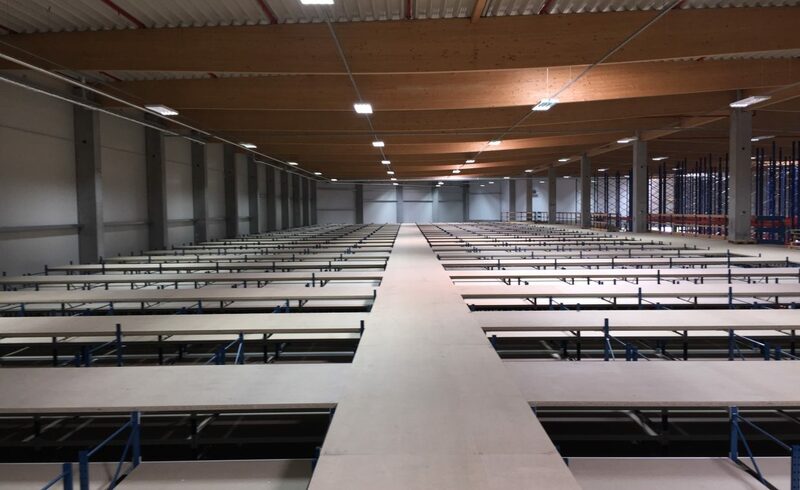 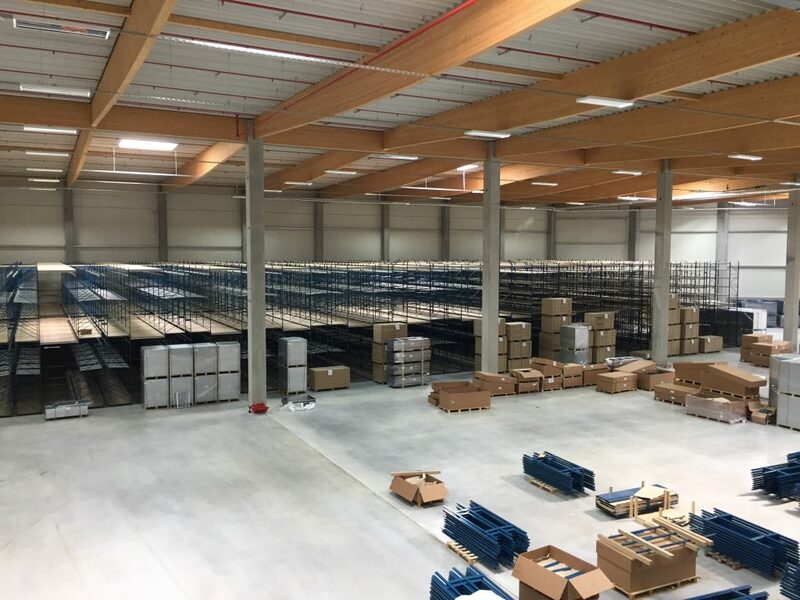 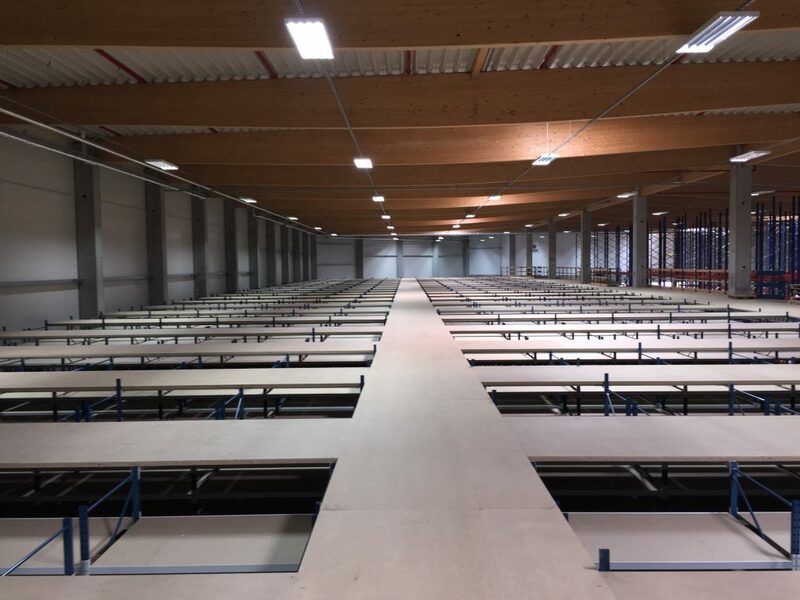 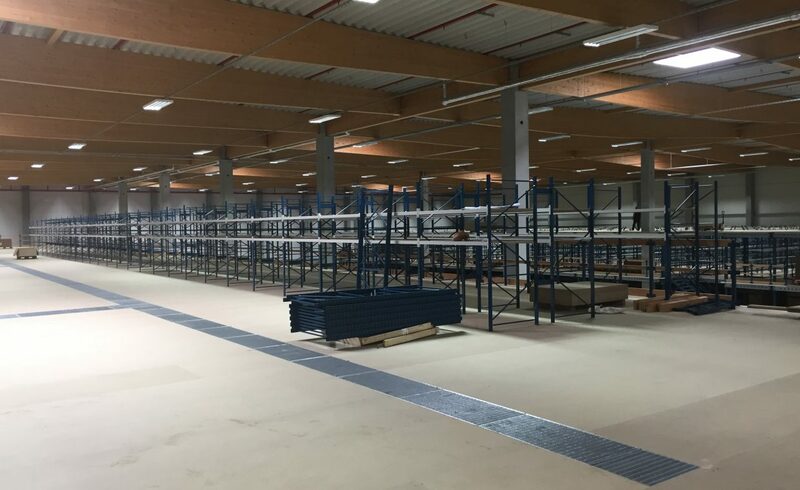 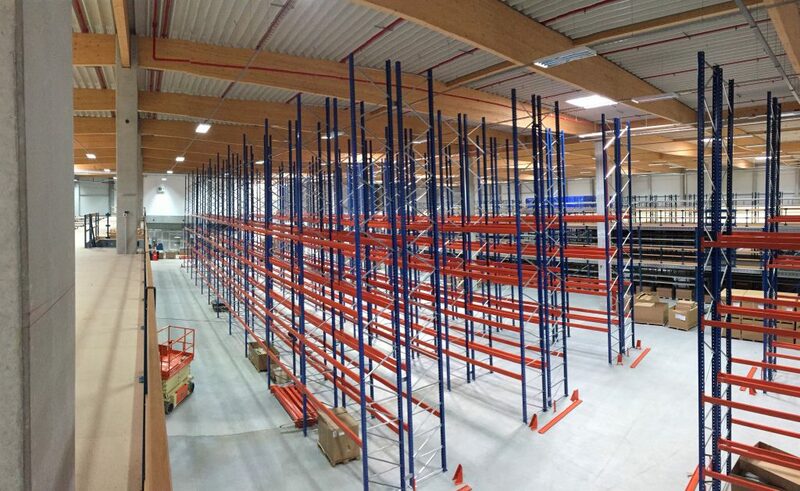 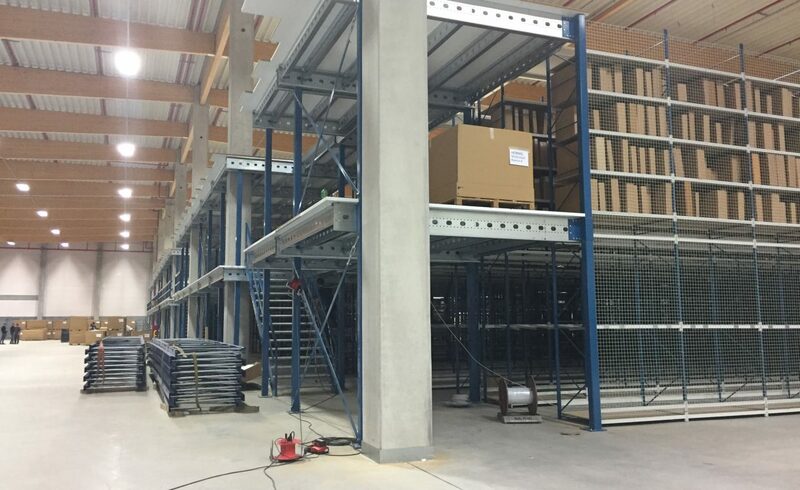 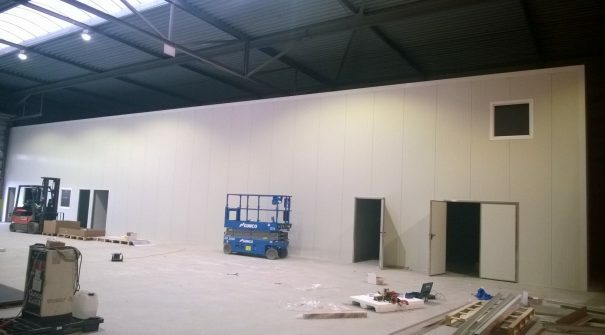 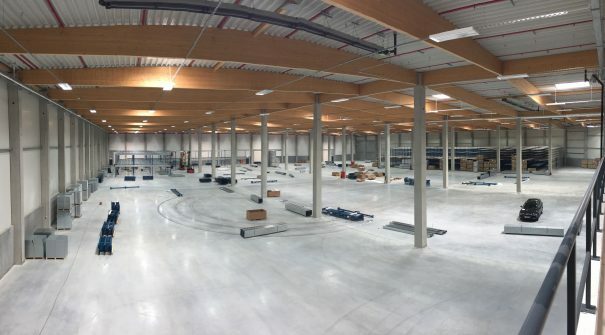 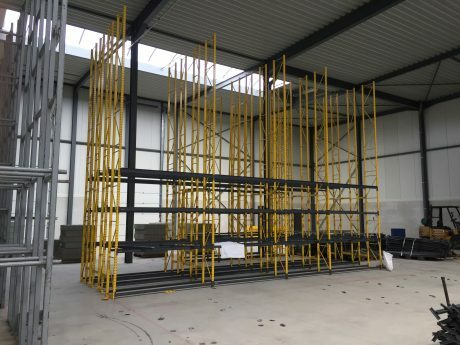 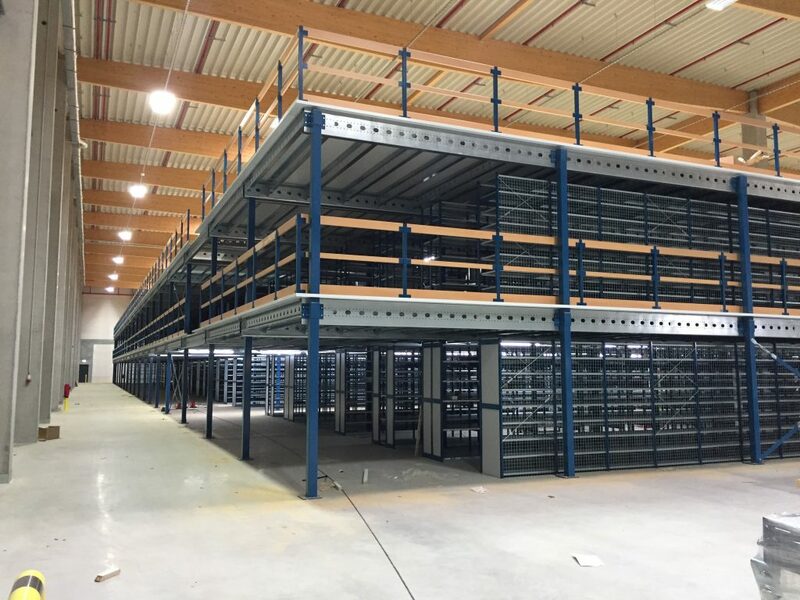 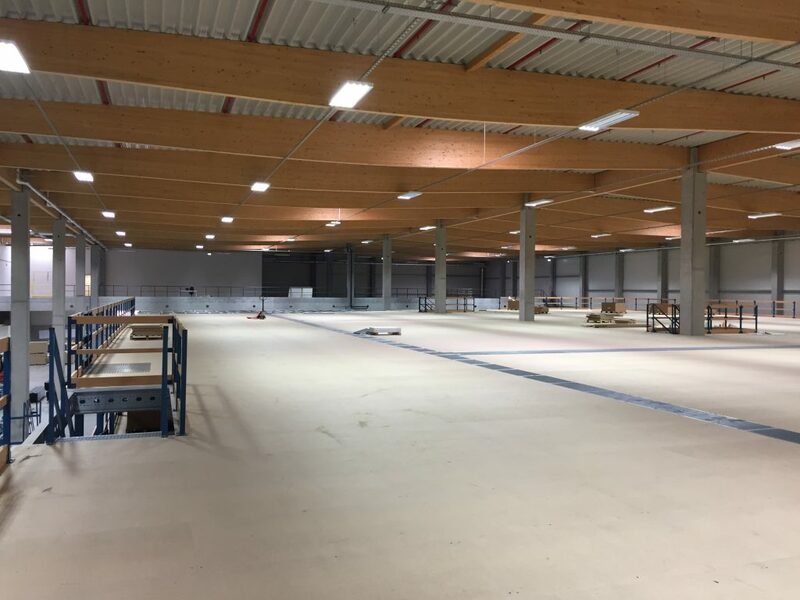 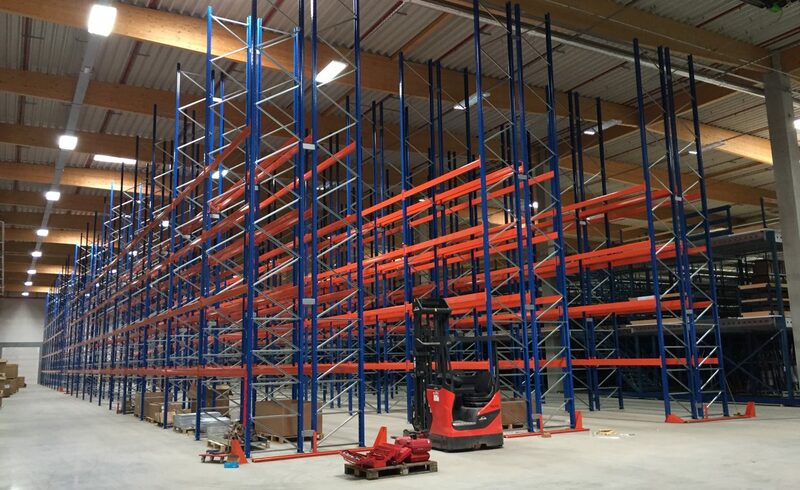 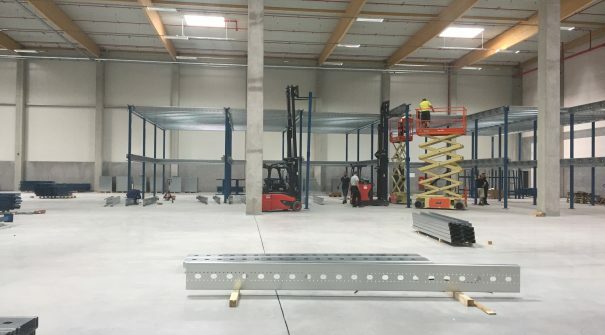 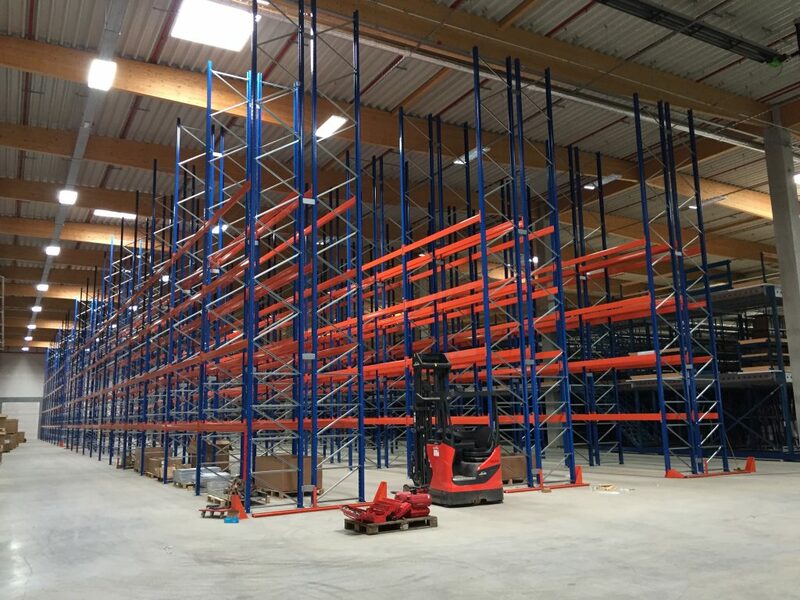 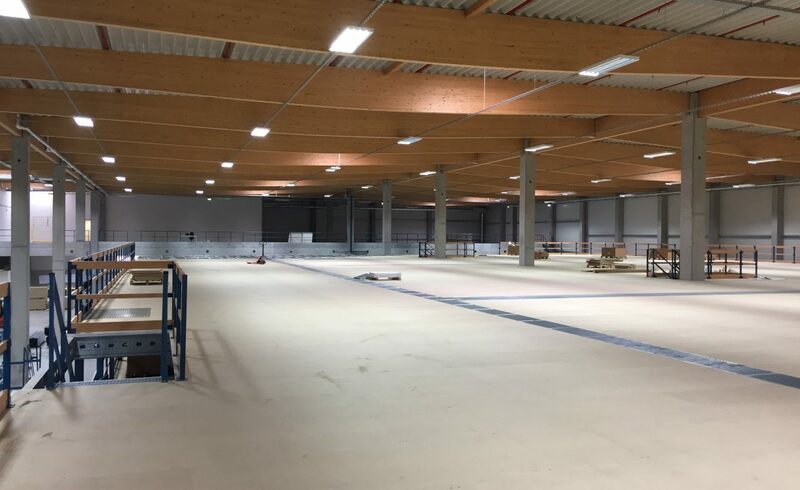 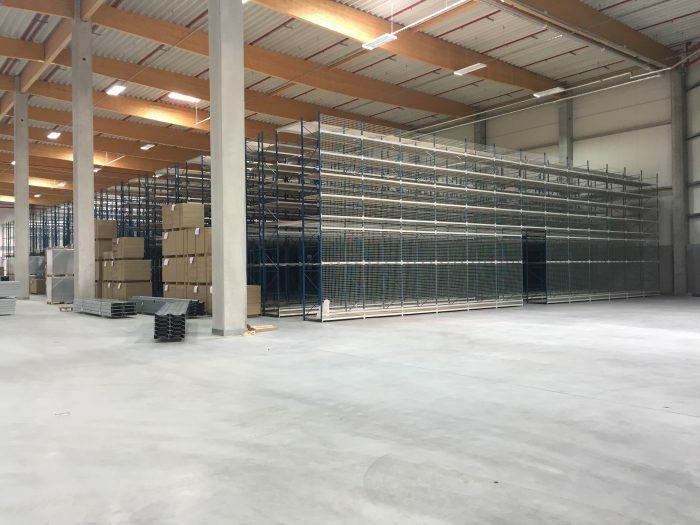 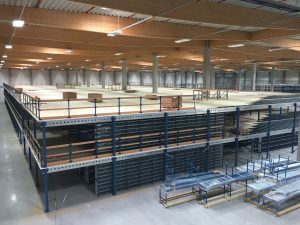 Europe Racking was chosen as a partner to set up the warehouse of a new location of a car parts wholesaler in Weiterstadt, Germany. 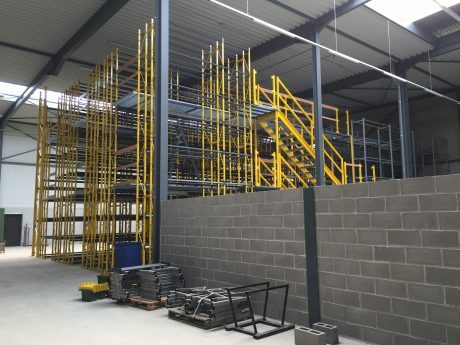 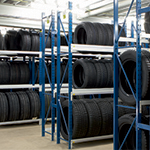 The new business premises will be fully furnished by Europe Racking. 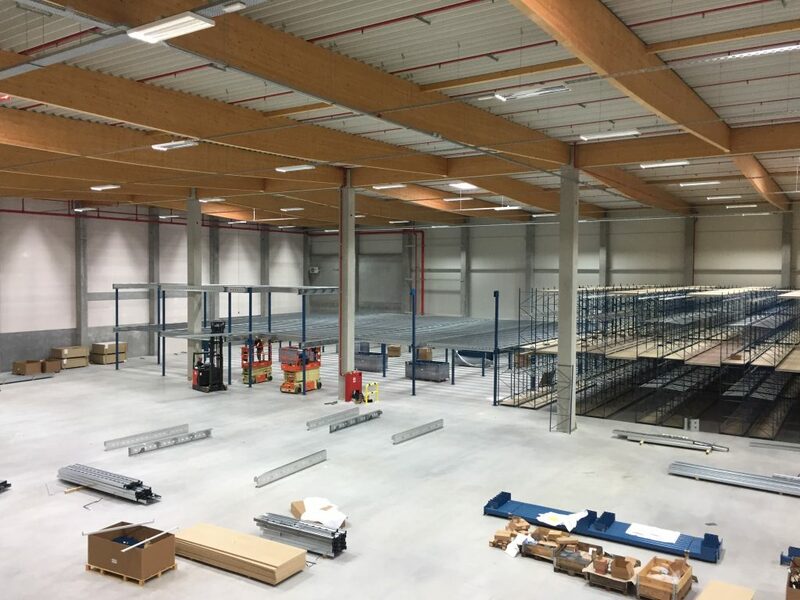 The new branch in Weiterstadt called for a sizeable total project. 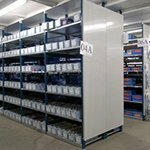 Thanks to our extensive range of products, we were able to provide our customer with a solution that met all of its storage needs. 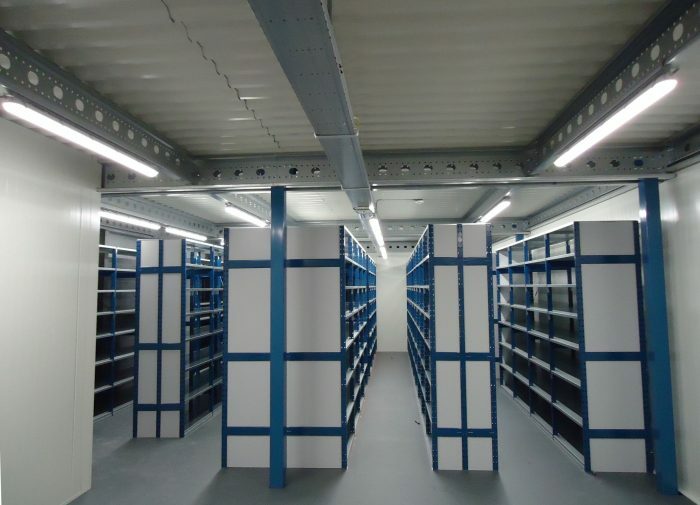 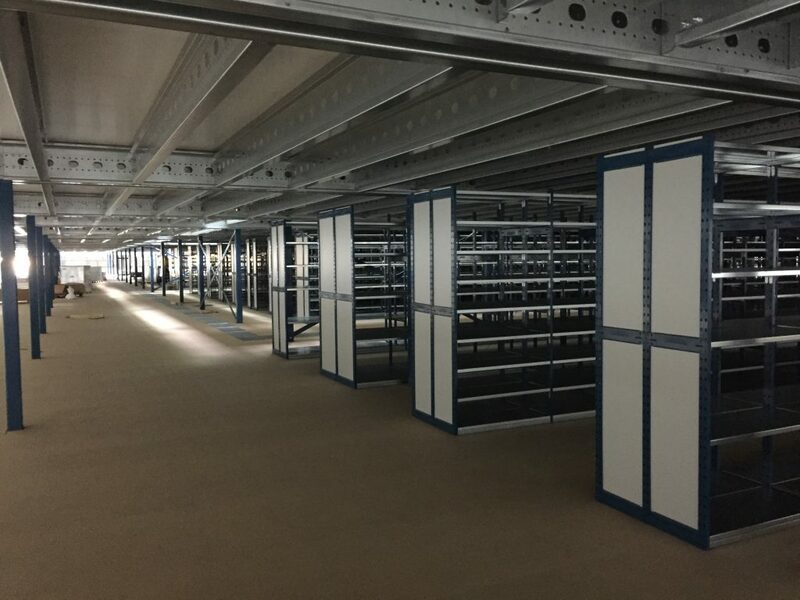 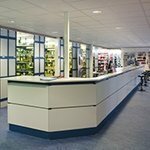 The project consists of a combination of multisystem shelving and tube-50 long span shelving. 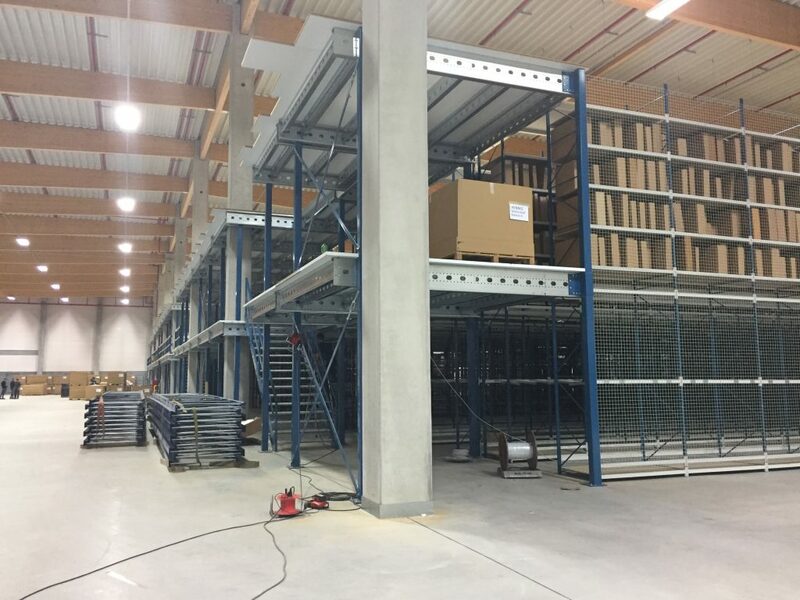 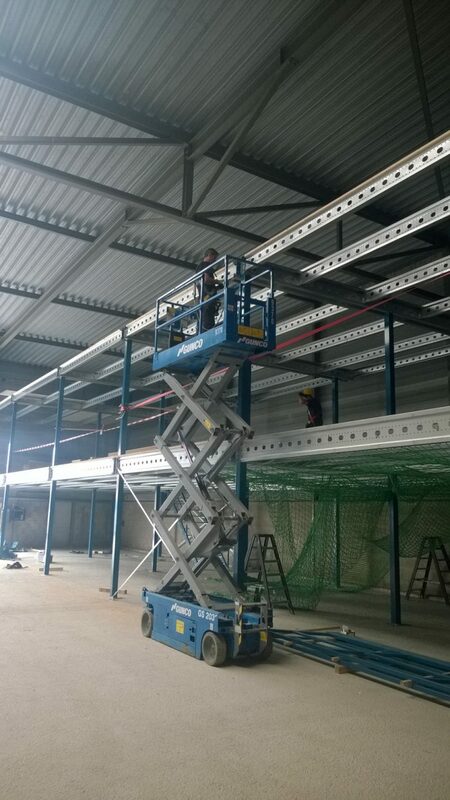 Hundreds of meters of shelving will be delivered and placed. 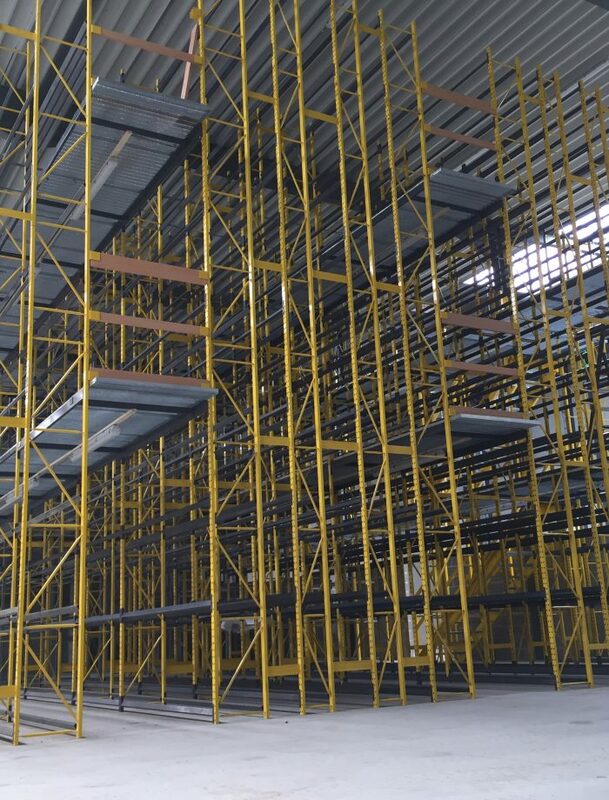 As a result, we could meet the storage needs of smaller goods as well as goods that are both large and heavy. 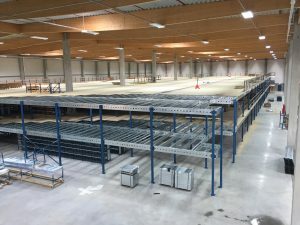 In order to make optimal use of all the available floor space, a cold rolled system floor was also chosen. 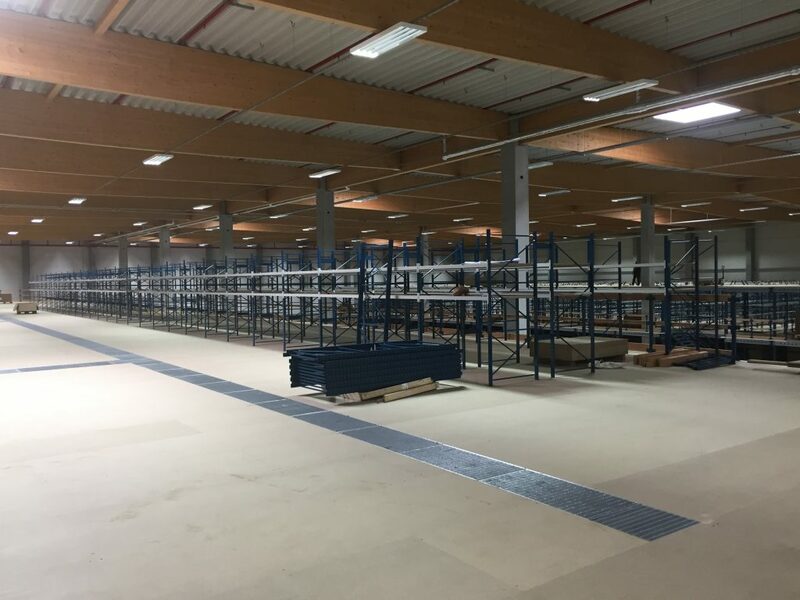 Using this modular system creates a very solid and fast-to-fit system floor. 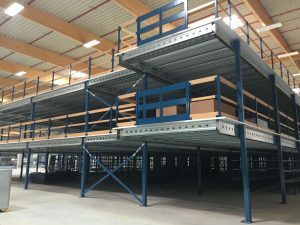 Leaving you free to choose your shelving lay out underneath and on top of the system floor. 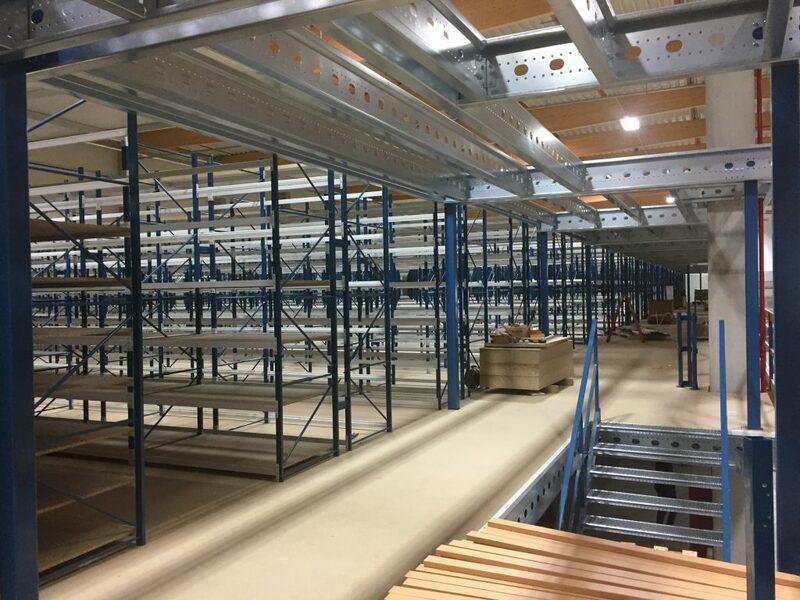 For other parts of the warehouse we chose to work with floors that are mounted both on and between the frames of the shelving. 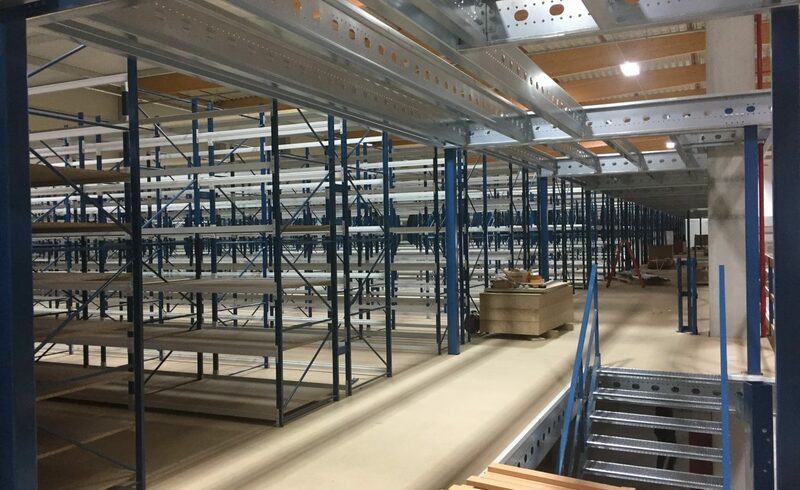 By using our shelving systems as the base for a system floor, this way we can avoid a more expensive system floor if circumstances permit it. 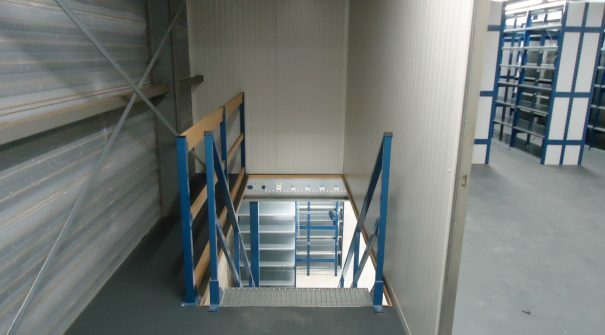 The system floors can also be finished with railings and stairs as desired. 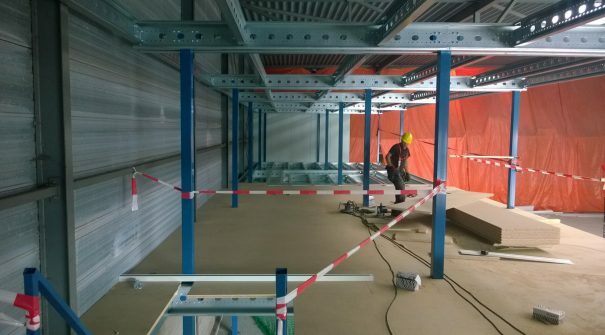 The floor itself is made of either 38mm particle board or steel grates. 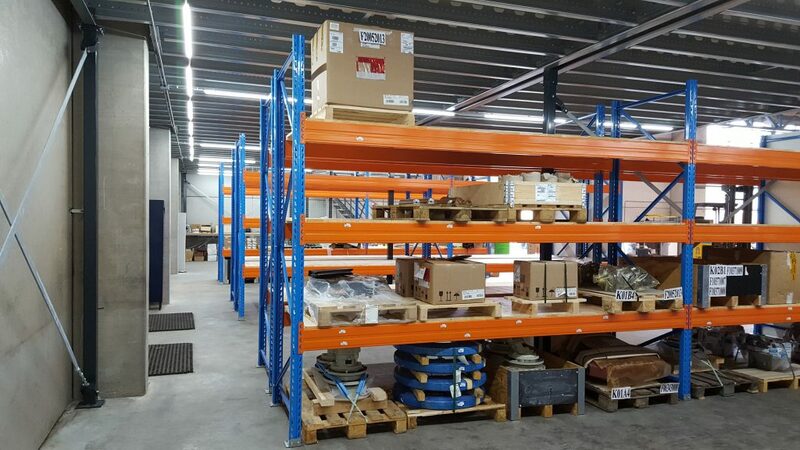 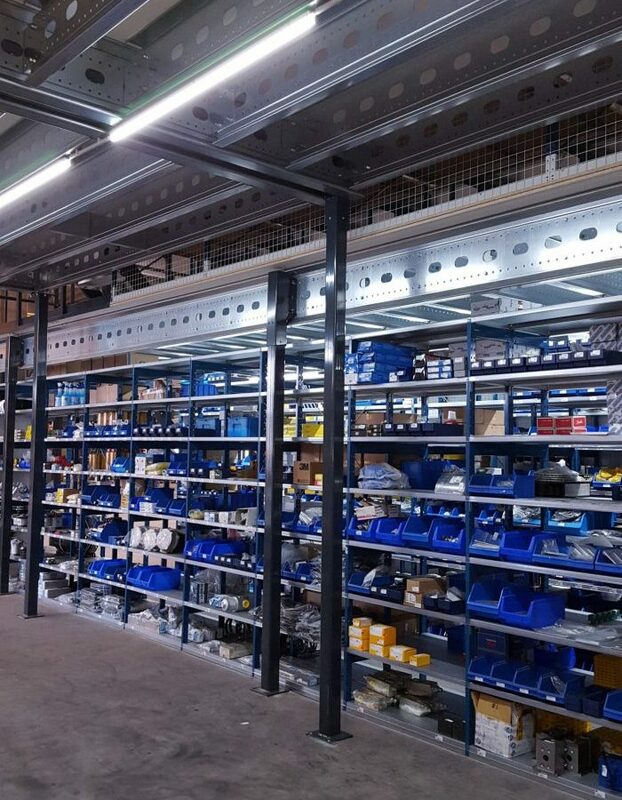 Thanks to the extensive knowledge of our own engineers and our broad range of products, Europe Racking guarantees a safe, strong, durable and flexible design of your warehouse.